A TRULY global star and a genuine legend on the hurling pitch have been drawn to face each other in the next round of our search to find Limerick’s All Time Great. Dolores O’Riordan, who sold over 40 million records worldwide with her band The Cranberries, is up against Mick Mackey, arguably the greatest hurler the game ever produced, who won three All-Ireland, five Munster and five National Hurling League medals. 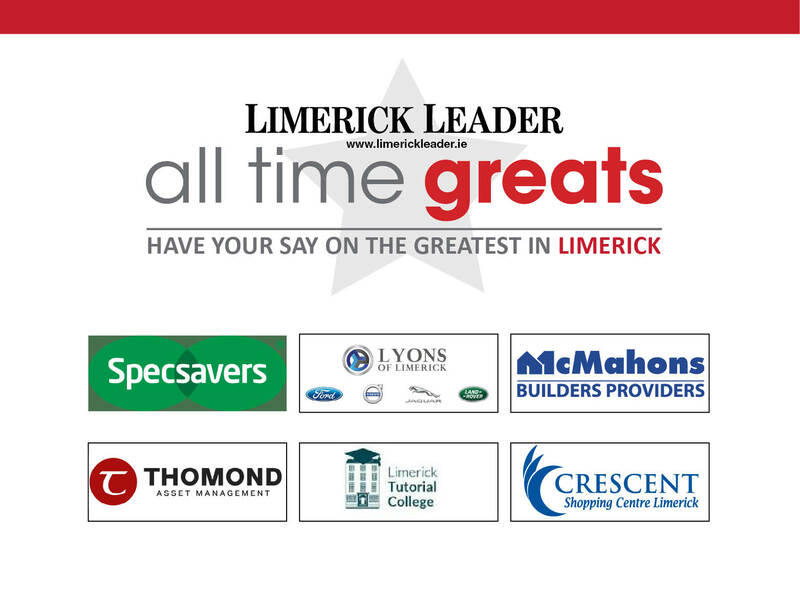 Eight candidates have made it through the first round of voting in the search to find Limerick’s All Time Great, after hundreds of nominations were submitted by Limerick Leader readers. Who will win? You decide! The poll will close on Friday. For more, see Limerick’s All Time Great here.